Check out the visual effects breakdown of "Star Wars: The Force Awakens" featuring the work of Industrial Light & Magic and other affiliated studios. Contains potential spoilers. It will make you appreciate the hard work put into this movie even more. Thanks to Michael Desiderio for sharing the video. 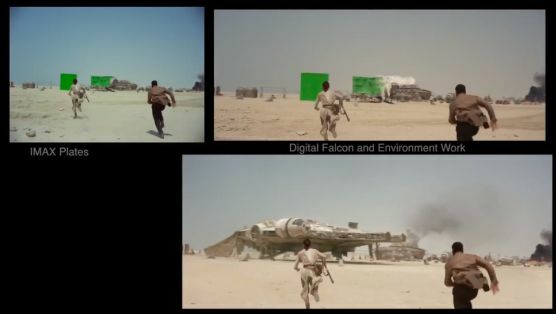 Star Wars: The Force Awakens - VFX Breakdown from Michael Desiderio on Vimeo.